There are many easy ways in which you can make a major impact to Shaloh House Chabad and the community at large. 1. Have a Shaloh House Chabad Tzedakah box in your home. Giving a coin every day is a very special Mitzvah, it brings blessing and protection to your home and to everyone in it, much like a Mezuzah. Please contact our office and we will be happy to deliver a Colorful Tzedkah Box to you. When full, simply drop it off at our office or notify us and we will be happy to pick it up and replace it. 2. Purchase Shaw's or Stop & Shop gift cards from our office. You purchase these cards at face value and Shaloh House Chabad receives 5% of your purchase without it costing any money to you. 3. Shop at Zayde's Market in Cobb Corner and support Shaloh House Chabad. Simply deposit your receipt in the Shaloh House Chabad box on the counter before exiting the store. Zayde's will donate as much as 5% of your purchase to Shaloh House Chabad. 4. Shop the Butcherie in Brookline and Support Shaloh House. 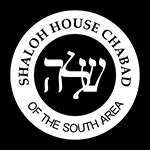 Ask them to stamp your receipt, than drop it off at Shaloh House Chabad. The Butcherie will donate as much as 5% of your purchase to Shaloh House Chabad. 5. Looking to buy a new or used car? When buying your car from Michael Boland at Sullivan Brothers Toyoto in Kingston, Sullivan brothers will donate $150 to Shaloh House Chabad.